Kathy Palmo, Studio Director – Institute for Dance, Inc.
A native New Yorker, Kathy understands the importance of combining fun and hard work in order to perfect the skills needed to succeed in the world of dance. She came to Williamsburg 18 years ago from Long Island where she trained at the prestigious June Claire Dance Center. Under the guidance of Lynda Gache and June Loesch, she trained in all genres of dance as well as studio management. Taking class with some of the industry’s most notable teachers…Phil Black, Frank Hatchett, Gus Giordano, Joe Tremaine and Robert Christopher, Kathy learned the value of a diverse dance education. She will always credit her finest training to her dance teacher, former June Taylor dancer and Radio City Rockette, Lynda Gache and Fosse master teacher and Broadway dancer Lloyd Culbreath. 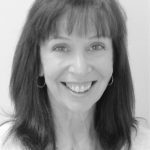 Teaching for almost 40 years, Kathy has taught master classes and workshops across the country and toured with major dance conventions to include Dance Power, Dance Olympus and Christopher National Dance Teacher Seminars. She has also adjudicated for Star Power and Dance America dance competitions. Kathy is proud of ALL her students! They have gone on to dance at college, teach and choreograph locally(especially here at iDance), and perform professionally in Tap Dogs-Paul Taylor Dance Company-The Gene Kelly Story-Radio City Music Hall, Cats, Stayin’Alive, and Busch Gardens.